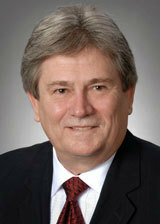 Mr. Henderson has practiced law in Texas and Louisiana for over twenty-five years. In that time, Mr. Henderson has gained substantial experience in the defense of personal injury and wrongful death cases, especially as related to the maritime industry. In addition to his experience in the defense of mass tort litigation, he has been integrally involved in the defense of premises liability, products liability and toxic tort cases, insurance coverage matters, contract disputes and general insurance defense litigation. Prior to beginning his legal career, Mr. Henderson was employed in the Land Department for a major oil company as a district landman and trades negotiator. In his practice, he continues to assist clients in oil and gas-related matters. Mr. Henderson has published legal articles in the Journal of Maritime Law and Commerce and the Tulane Law Review, including The Wreck Act Duties to Mark and Remove, Vol. 21, No. 3, Journal of Maritime Law and Commerce (July, 1990), and has co-authored numerous papers presented at admiralty seminars, including Prosecuting and Defending a Jones Act Case Including Experts – The Defense Perspective, 1994 State Bar of Texas Admiralty and Maritime Seminar, League City, Texas, Sailing in Occupied Waters: The Aftermath of Miles, 1995 University of Texas School of Law 4th Annual Admiralty and Maritime Law Conference, Houston Texas, Punitive Damages Including Maintenance and Cure, 1996 State Bar of Texas Admiralty and Maritime Seminar, League City, Texas, Damages Recoverable in Death Cases, 1997 Fifteenth Tulane Admiralty Law Institute, New Orleans, Louisiana, 72 Tulane L. Rev. 717 (1997), Current Frontiers in Maritime Fatal Injury Litigation, 2000 University of Texas School of Law 9th Annual Admiralty and Maritime Law Conference, Houston, Texas. Mr. Henderson has been accorded a peer-reviewed AV rating by Martindale-Hubbell Legal Directory, the highest rating available by that publication, and he earned a Bachelor of Business Administration/Petroleum Land Management undergraduate degree from The University of Oklahoma in 1974, a Juris Doctorate from the Loyola University School of Law (New Orleans) in 1982, and Masters of Law Degree in Admiralty from the Tulane University School of Law in 1987. Mr. Henderson is licensed to practice before the Supreme Court of the United States, the United States Court of Appeals for the Fifth Circuit, the United States District Courts for the Southern and Eastern Districts of Texas, the Eastern, Middle and Western Districts of Louisiana, and in all Texas and Louisiana state courts. Mr. Henderson is a member of the Texas and Louisiana State Bar Associations, the Bar Association of the Fifth Federal Circuit, the Houston and Fort Bend County Bar Associations, the Maritime Law Association of the United States, and the American Association of Professional Landmen.